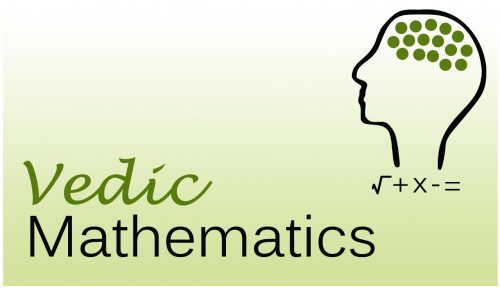 Vedic Math Techniques – Are you looking for the best Vedic Math techniques? If yes, then you have come to the right place. Vedic Math has now become one of the blooming techniques to learn math easily. It is no news that students hate the subject math for the obvious reasons. This subject is not everyone’s cup of tea because of the excessive calculations it has. Here we will discuss the different techniques of Vedic math. Math is one of those subjects that require proper attention and care. You can lose a lot because of the silly calculation mistakes. Vedic math helps in reducing the dependency on the calculators even for the bigger calculations. Vedic Math is one of the ancient techniques that help in making the learning experience of math simpler. This method has been serving the people and kids since a long time now. It consists of several ancients techniques including meditation that further help you in calculating easily. Nowadays, there are numerous sources which can help you improve your mathematical skills through Vedic Math. Below listed are some of the benefits of using Vedic Maths. It reduces the burden large calculations and also it completely reduces the dependency on the calculators. Vedic math helps in enabling faster calculations, unlike other methods. It helps in improving the confidence and concentration power of the person. What are the techniques in Vedic Math? Now, you might be wondering about the different techniques that are used in Vedic Math to learn the subject even better. If you do not know anything about the techniques of this ancient process then you do not need to look further. Here, we will let you know about the important techniques of Vedic Math that are truly beneficial. This is one of the most important and crucial techniques and trick of the Vedic Math. This Sutra is a Specific method of Multiplication in Vedic Mathematics which shows shortcuts to multiply numbers which are closer to the power of 10. With this sutra, you can easily multiply and do the complicated calculations in the head. This is a sub type of the Nikhilam Sutra that further improves and enhances your multiplication skills. It works on the concept of Working Base and then applies Nikhilam Sutra. This is another beneficial technique of Vedic Math that you can learn better in the course or the training. Urdhva Tiryak Sutra is yet another beneficial trick or technique used in the Vedic math for the better understanding of the most hated subject math. It is a shortcut that helps you to do any type of calculations. It can be applied very easily to multiply 3 digit numbers, multiply 4 digits numbers and even more than 4 digit numbers. Vinculum is a special method of Vedic Maths Multiplication which is used with Urdhva Tiryak whenever we have bigger digits like 6, 7, 8 and 9. This is one of the finest ways to do easy calculations in Math. Applying this technique of Vedic math in the learning process will definitely take you a long way. Vedic Math can really help you to excel in the subject math that is for some reasons is the hated subject. 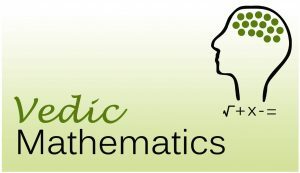 Above mentioned are some of the best tricks or techniques that can help you to learn Vedic math easily so that you can further excel in the subject Mathematics. So, go ahead and now implement these techniques to get the best results.